Both the teams are coming from a win in their previous matches and will be boosted when they meet for the 2nd time in this season at optus stadium, Perth on 18th January. Last time when these two teams faced each other, Hobart Hurricanes won comfortably with 6 wickets with Riley Meredith man of the match. Hobart Hurricanes are at the top of the table with 6 wins out of 7 matches they have played so far. The previous match they have won by 56 run against Melbourne Stars with D’Arcy Short declared man of the match for unbeaten 96. D’Arcy Short is also the leading run scorer of the tournament. Batting looks settled with Ben McDermott, George Bailey chipping consistently. Bowling department is headed by Jofra Archer, and young Riley Meredith. Hurricanes made one change to their squad with Celeb Jewell coming in for Jake Doran. Players to watch out for : Matthew Wade, Riley Meredith, Ben McDermott. Perth Scorcher are currently 7th in the points table with 3 wins out of 8 match they have played so far. They are not looking as consistent as they were in their previous BBL seasons. Although they will be boosted by their 8 wicket win in previous match as they chased 185 runs quite comfortably. Cameron Bancroft has find his rhythm back and captain Ashton Turner has been in sublime form in this season. They will be looking to take this momentum and win every match from here on. Scorchers have made two changes to their squad with Ashton Agar and Nick Hobson coming in for Will Bossisto and Cameron Green. Perth Scorchers : Bancroft, Klinger, Whiteman(WK), Turner(C), Cartwright, Agar, Coulter-Nile, Willey, Tye, Kelly and Qadir. Hobart Hurricanes: Short, Wade (C&WK), Doolan, McDermott, Bailey, Milenko, Botha, Faulkner, Archer, Rose and Meredith. 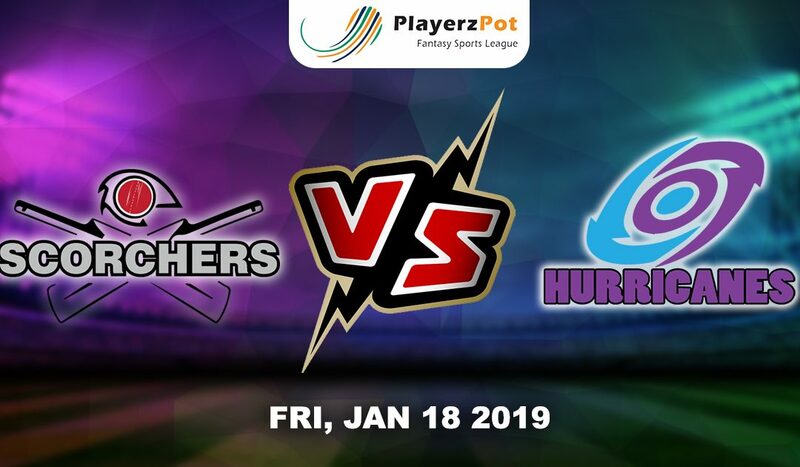 Expect an exciting game of cricket but Hobart Hurricanes are likely to win this as they are looking unbeatable at the moment.